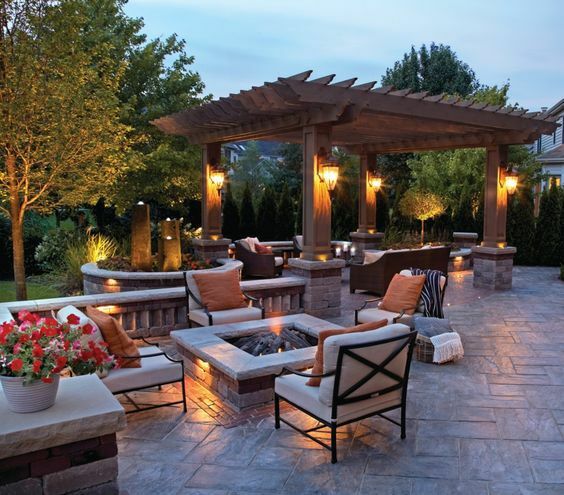 When deciding the main use of a pergola, people tend to focus on furniture needs, such as dining tables, outdoor patio chairs and couches, or barbecues and fire pits. 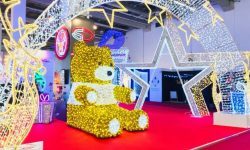 And at times, lighting is not decided until the furniture is picked out, and must then fit in with the rest of the décor. 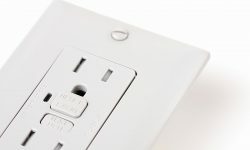 Whether looking for something simple, elegant, or creatively unique, the following lighting ideas will help to finish off any design. 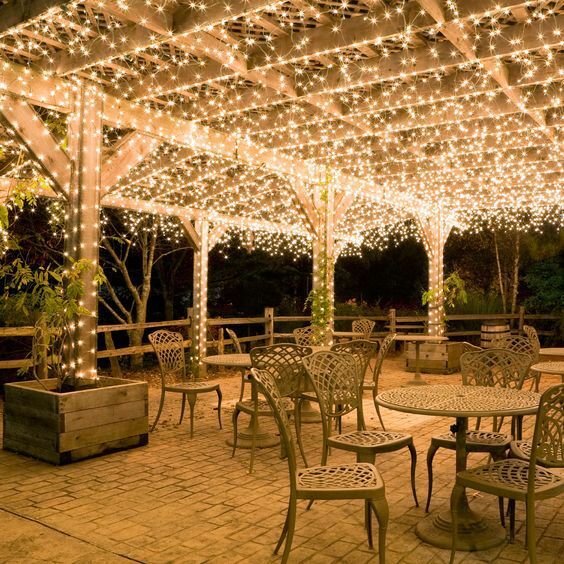 This gorgeous canopy is made using multiple strings of icicle lights hung close together above and wound around the pillars to light up the entire space. 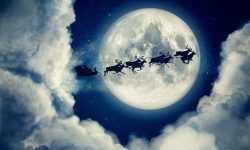 These lights wrapped around both overhead and support beams is bright enough to entertain by without ruining the evening ambience. 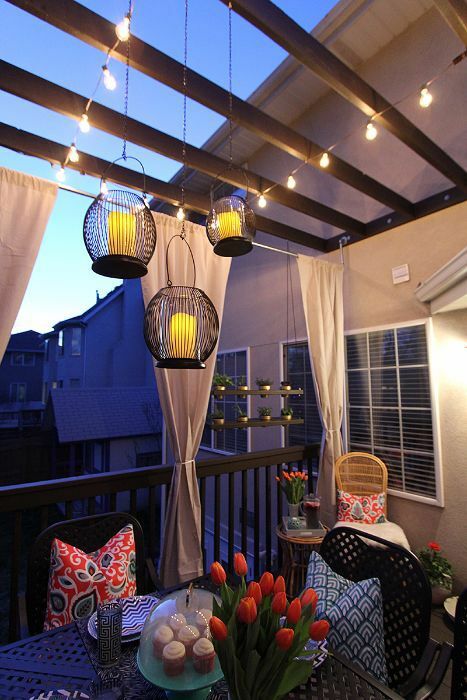 With a bit of creativity, these mason jars make pretty pendant lights, perfect for a rustic outdoor space. 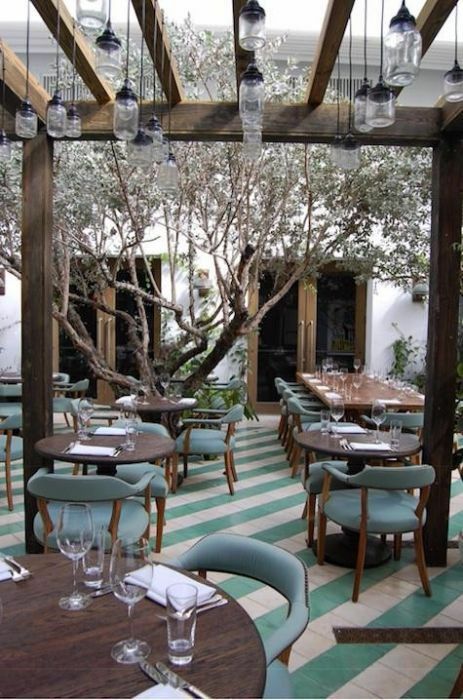 The unique look of globe lights strung overhead will fit into any vintage themed eating area. 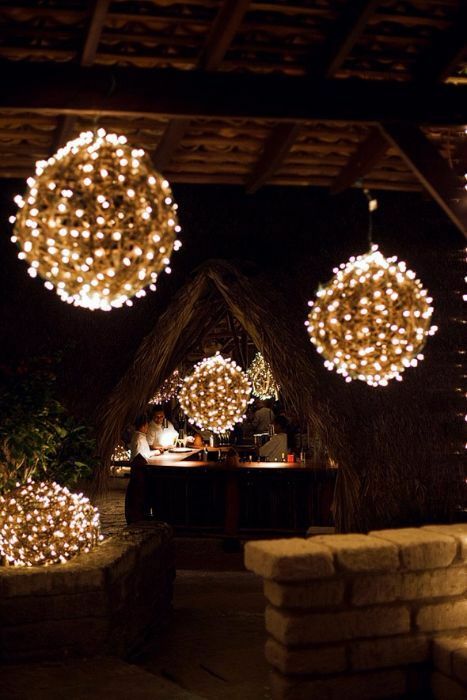 Alongside the strings of lights are different sizes of wire lanterns, all containing safe flame-less candles. 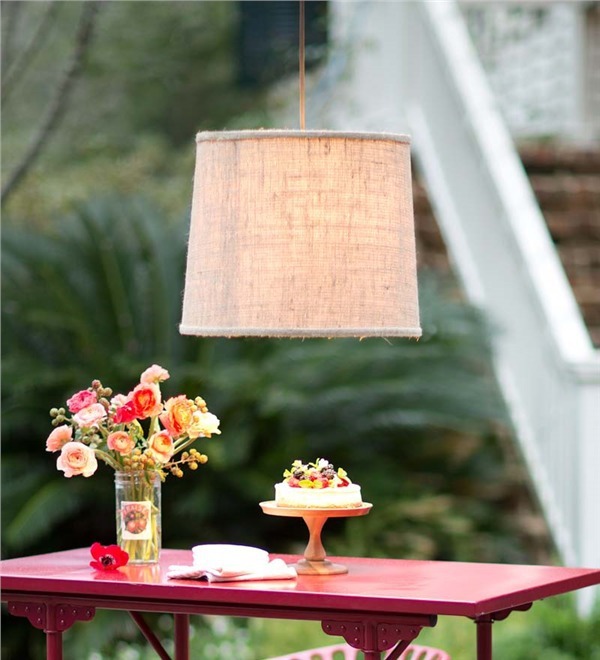 Though not meant for permanent outdoor use, these pretty burlap drum lights add a stylish look to any outdoor gathering. 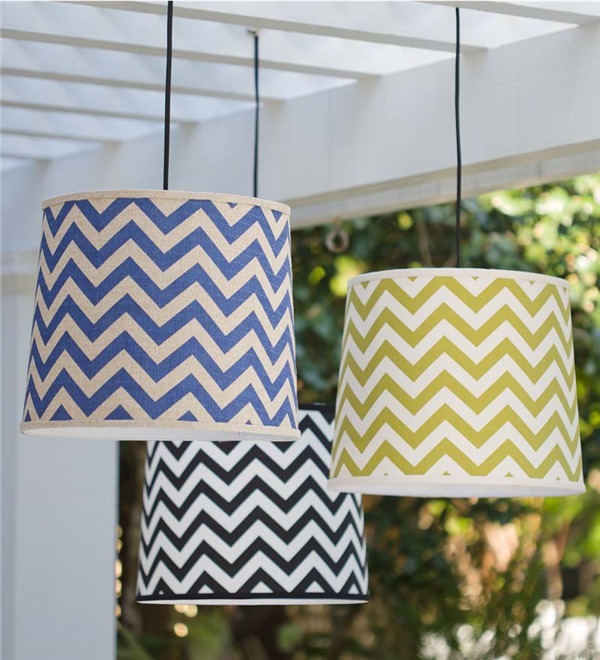 These drum lights come in three shades, including black, green and indigo, to suit any pergola color scheme. 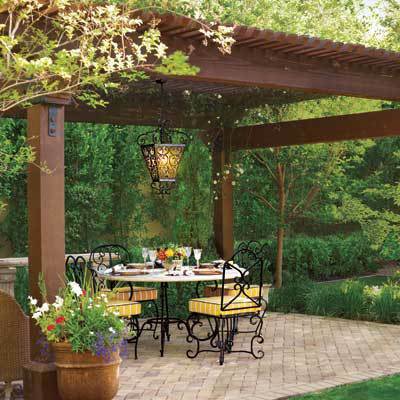 These little spotlights around the outside of this pergola light the sitting area underneath, as well as the area around it, offering a much larger space to enjoy after the sun goes down. 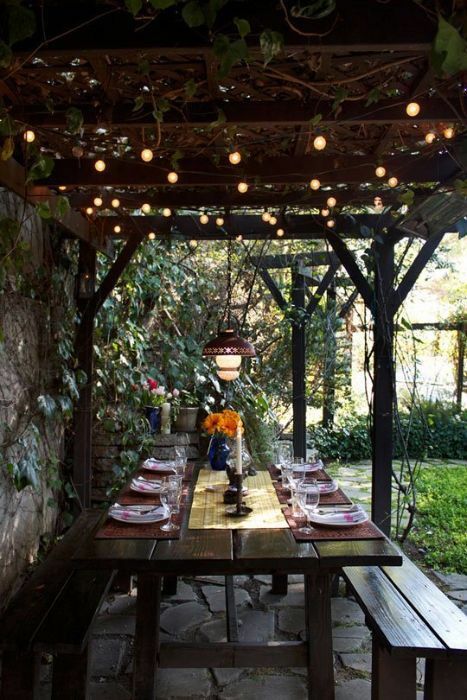 Add a bit of elegance to an outdoor dining area with beautiful and stylish hanging chandelier. 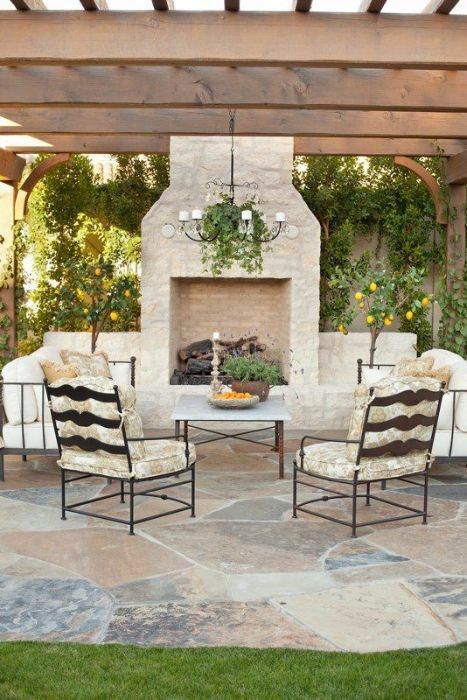 This custom chandelier draped with greenery uses candles for a softer light, perfectly matched with the flames from the outdoor fireplace. 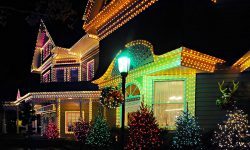 Similar to icicle lights in look, curtain lights are long enough to cover a large opening, from beams above to railing below, surrounding the area in light. 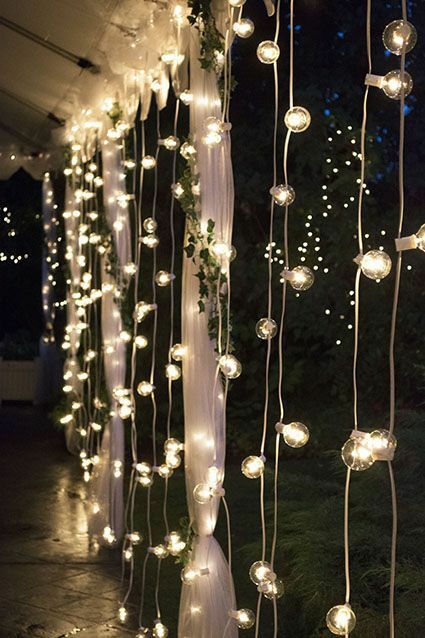 Instead of the smaller mini lights, these curtain strings use the larger globes, creating a more upscale feel to an outdoor gathering. 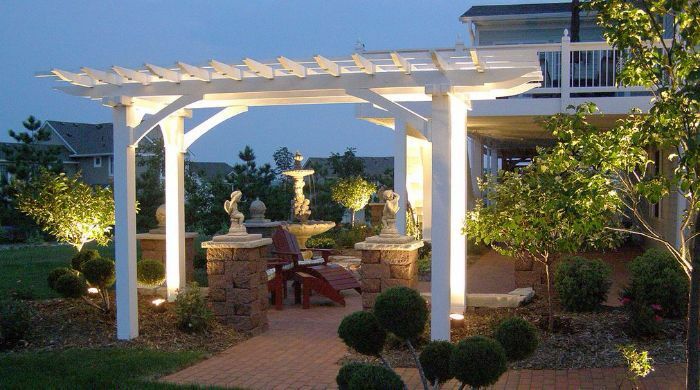 One coach light per support beam creates a bit of a vintage look to a more modern themed pergola. This pretty solar table lamp eliminates the need for outdoor outlets and extension cords, and even saves a bit on the cost of electricity. 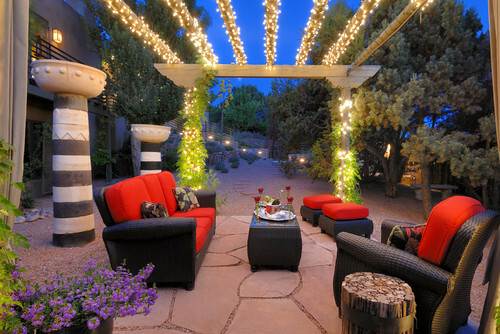 Holispheres enhance the ambiance of any outdoor area. 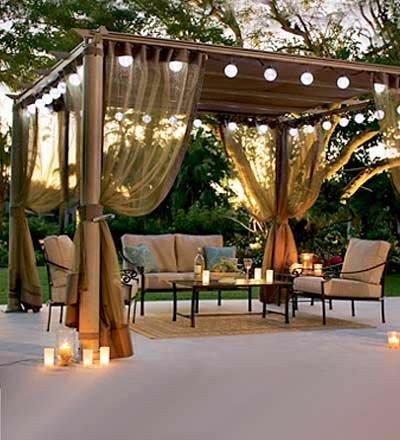 Select several different sizes to hang in your pergola. 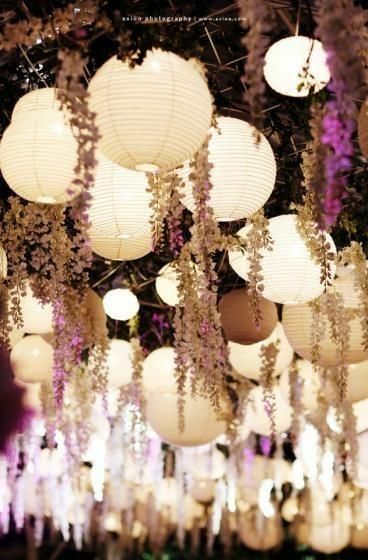 Casual elegance can be created quite easily with an array of paper lanterns nestled among white and purple hanging flowers. For a more modern look, hang a few simple pendant lights from the overhead beams, to light both cooking and eating areas beneath. 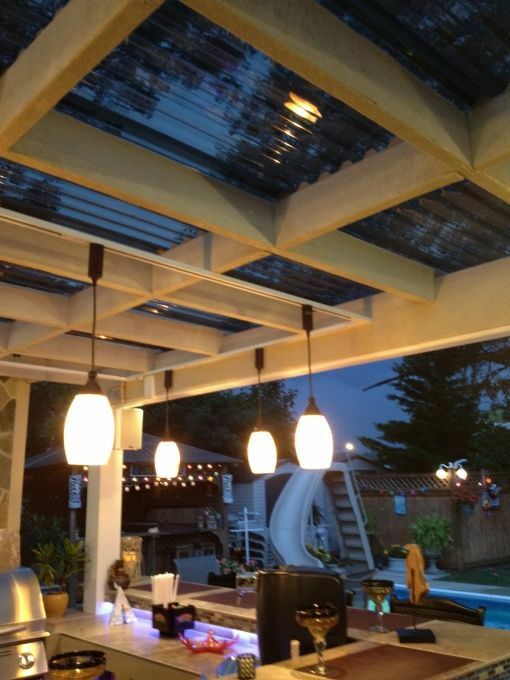 Clear café lights create a soothing atmosphere for those looking to enjoy a bit of relaxation after a stressful day. 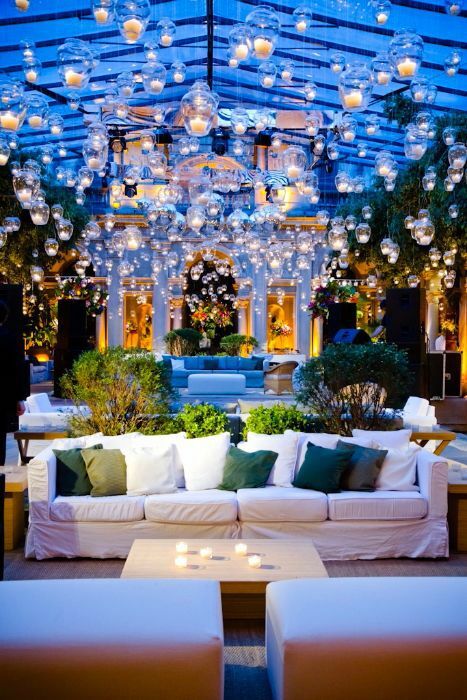 A pergola lit by a few dozen candles set into clear glass vases hung from above will sparkle as brightly as the night sky. 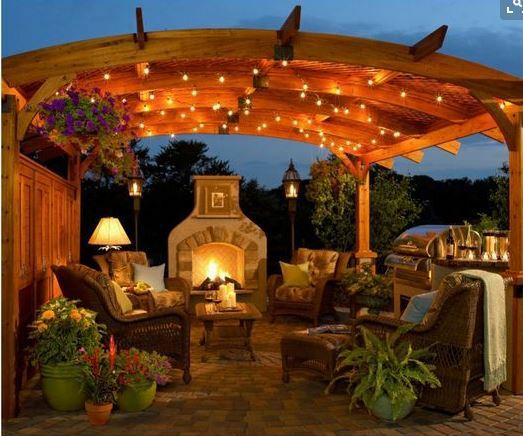 A unique and creative way to light up a pergola is to keep the lights a bit away from it, and instead illuminate the trees and shrubbery around it, for a more subtle look that accents nature’s beauty. 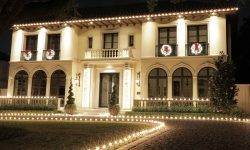 With so many types of lights to use, any style can be lit up perfectly, from modern to rustic, simple to elegant. 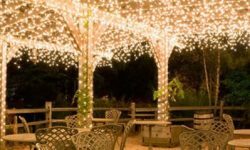 String lights, chandeliers, even candles can create the finishing touches for your pergola, to dazzle your guests, or just to offer a soothing atmosphere in the backyard to enjoy after a long day.